The “Smallpox Blankets” Myth | Dude, Where's My Freedom? Every year around Thanksgiving, many of the anti-western leftists start to pick up steam in their America-bashing. Thanksgiving, after all, is a celebration of evil genocidal white men brutally killing and torturing the peace-loving natives who enjoyed an earthly utopia of plenty and lived in perfect harmony with nature. The most dastardly example of all, of course, is the fact that white settlers actually handed over smallpox-infected blankets to the natives in order to kill them quickly and efficiently so they could steal their land. This is a story that everyone takes as true, but is actually almost completely false. I was originally going to do a lot of research for this post, but why re-invent the wheel when someone else has already done it for me. Robert Lindsay has a pretty thorough post on this topic up on his blog, with plenty of links to his sources. To make a long story short, there is a whopping one documented instance in all of colonial American history of such a thing having occurred, by British (not American, as this happened prior the revolutionary war) troops who were being besieged and were desperate for anything that might alleviate the situation. There is no concrete evidence that the stratagem actually worked (the tribes in question had already been exposed to smallpox generally), or was ever repeated. As a side note: Germ theory proper was actually developed in the 19th century, so the idea that a low ranking British Officer could have engineered such an elaborate and dastardly scheme 50 years prior to the birth of Louis Pasteur while being certain of its results should seem incredibly suspicious. 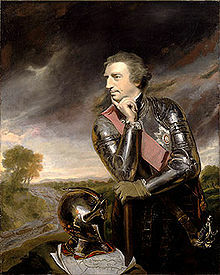 If it is true that Lord Amherst developed a comprehensive strategy of engaging in genocide through smallpox-infected blankets, than surely he deserves tremendous accolades for being one of the pioneers of modern medicine. This entry was posted in News Commentary and tagged American History, genocide, Holidays, myths, natives, smallpox blankets, Thanksgiving. Bookmark the permalink. I happened to bbe able to find good info because of your web sites. Great piece by the way, I’ve been having to deal with some of our “IdleNoMore” folks up north and it’s amazing how they think that a century before Louis Pasteur invented the (highly controversial and paradigm-shifting, by the way) germ theory of disease that its principles were being used to facilitate the world’s least effective genocide. You say “completely” false and then give an example. This means “completely” is not a true account. I’m not an “anti-American leftist” but I am a Native American and a 4th generation US Soldier. Say what you want, but you are what is wrong with America. I described the “story” as completely false. Perhaps “narrative” would have been a better word. The story/narrative includes the idea that this was common practice, was done will genocidal intent, and was highly effective. All three of these things are COMPLETELY false.